Johnson’s® understands that as a child grows, hair also changes. And that’s why it needs its own special care! The mild and effective Johnson’s® Active Kids™ Shiny Drops Shampoo™ and Shiny Drops Conditioner™ formulas were developed to work together to boost natural shine and help reduce frizz, leaving hair silky smooth and healthy looking. After shampooing, dispense a small amount of Johnson’s® Active Kids™ Conditioner™ unto palm and gently work downward through the hair. Rinse thoroughly. 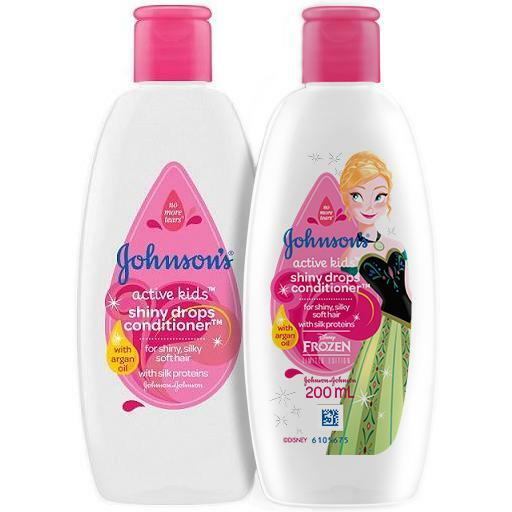 For better results, use with Johnson’s® Active Kids™ Shiny Drops Shampoo™.